A South African two-division champ is making his way to the UFC as the promotion has signed light heavyweight Dalcha Lungiambula. The UFC has not had much success in the South Africa region bringing in Ruan Potts and Garreth McLellan, as the two didn’t perform as expected, the UFC hit a spark with lightweight Don Madge who looks the part after a very impressive promotional debut. Prospect in the heavier divisions are hard to come by, so the UFC will try to strike gold in South Africa once again, signing Dalcha Lungiambula. Dalcha Lungiambula was born in Kinshasa, Democratic Republic of the Congo. At the young age of 8-years-old Dalcha’s father brought him his first gi. He’s practiced in judo ever since and soon after, gained his black belt. Dalcha was a multi-national championship as he was apart of the National Judo Team in 2007, 2008, and 2009. In Abu Dhabi, he competed in the BJJ world competition ADCC in 2016, coming in first place in the African trials. 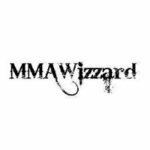 In 2010, Lungiambula switched over to MMA. 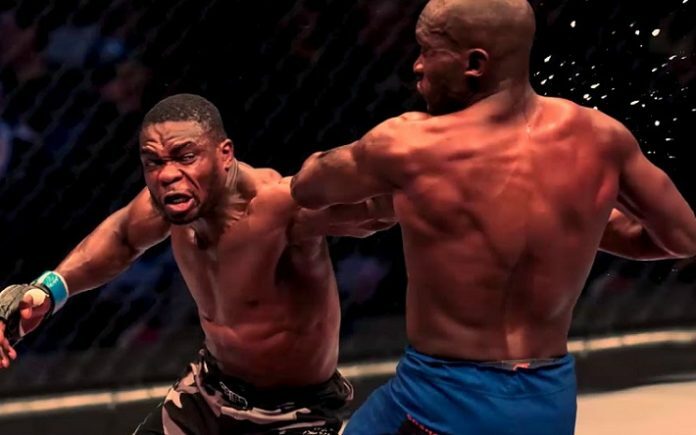 He later moved to Tableview, Cape Town, Western Cape, South Africa, as he was fighting for the top promotion in South Africa in Extreme Fighting Championship Worldwide (EFC). In August of 2016, Dalcha won the EFC light heavyweight title. In June of last year, he won the EFC heavyweight title holding both belts at 265 and 205 simultaneously. Prior to his UFC contract signing, he had a number of deals from other big organizations but ultimately signed with the UFC last December. Lungiambula’s management team is Grind Sports Agency, located in Cape Town, Africa, and London, England. Dalcha doesn’t spend a lot of time on the feet. He at times has shown decent boxing with a stiff jab and more notably, a big overhand. He relies on his athleticism and explosiveness to get inside and work takedowns. Dalcha has fantastic judo throws and is very creative with his takedowns in the clinch. On the mat, Dalcha is good enough with his jiu-jitsu to give his foes problems. Overall, he’s going to fight a higher competition in the lower tier of the UFC then he did in EFC. Lungiambula biggest weakness would probably be his cardio and it’s due to the amount of energy he puts in early on. He also needs to work on his takedown defense, being taken down by lesser wrestlers far too easily in the past. Lungiambula is a fun addition but at his age, I don’t expect a lot from him.